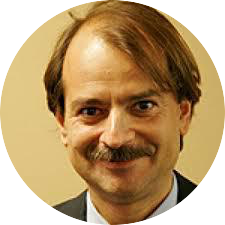 The Meta-Research Innovation Center Berlin (METRIC-Berlin), the European sister of The Meta-Research Innovation Center at Stanford (METRICS), was founded in January 2019 by Professor John Ioannidis with funding from the Stiftung Charité and the Einstein Foundation Berlin. We are hosted by the Quality, Ethics, Open Science, Translation Center (QUEST) of the Berlin Institute of Health (BIH) based at the Charité – Universitätsmedizin Berlin. 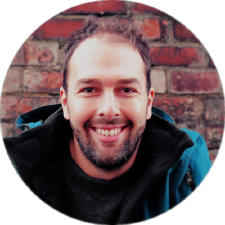 Below you can meet our team, learn about our research, view our publications, find out about previous and upcoming talks, browse our various podcasts and blog posts, meet our funders and partners and get in touch. Whilst some scientists study rocks, insects, brains, or molecules, we study the process of science itself. This meta-research, or ‘research on research’, involves evaluating quality, bias, and efficiency during critical phases of the research cycle, including methods, reporting, reproducibility, evaluation, and incentives. We take an interdisciplinary approach that seeks to cross-fertilize ideas and resources between fields to most effectively maximise the quality and efficiency of the scientific endeavour. You can take a look at some of our publications to get a flavour of the work that we do. Tom Hardwicke, John Ioannidis (2018). Mapping the universe of registered reports. Nature Human Behaviour. Tom Hardwicke, John Ioannidis (2018). Populating The Data Ark: An attempt to obtain and preserve data from the most highly-cited psychology and psychiatry articles. PLOS ONE. Live recording at the opening of METRIC-Berlin. John Ioannidis discusses his paper ‘Why most published research findings are false’. John Ioannidis talks to Ray Moynihan about the far-reaching implications of his paper ‘Why most published research findings are false’ for people both inside and outside the world of health.